This article originally appeared at processhistory.org. This episode’s title, “Déjà Vu” (1858–1961), is meant to suggest that the American experience in Vietnam had already been experienced by the French who ruled Indochina (Vietnam, Laos, and Cambodia) as a colony since the nineteenth century and fought a brutal eight-year war (1946–54) in an unsuccessful effort to maintain control. The same communist-led forces that mobilized one of the greatest anticolonial revolutions in history to defeat the French would soon turn against the Americans who sought, in defiance of the Geneva Accords, to build a permanent, non-communist nation called South Vietnam. However, “Deja Vu” devotes surprisingly little attention to the history that preceded U.S. involvement. Twenty minutes into the 18-hour marathon, we’ve already arrived at 1945. There is not a word about the early Vietnamese history that stretches back more than two millennia and includes a thousand-year struggle to overthrow Chinese rule, an important fact given that many U.S. policymakers in the 1950s and ’60s mistakenly assumed that the Democratic Republic of Vietnam (North Vietnam) was a pawn of its northern neighbors. The documentary opens with footage of Americans in combat. The lingering image is of an American casualty, lying on a litter, being winched out of a Vietnamese jungle by helicopter. The first voice we hear is that of Karl Marlantes, an American veteran, saying: “Coming home from the war was close to as traumatic as the war itself.” He follows with a remarkable story—after the war he was close friends with another man for twelve years before discovering that both of them had served as marines in Vietnam. Neither man had said a word about that part of their past. Thus begins the fundamental framing of The Vietnam War—American veterans (or their survivors), once silenced and shunned, will introduce and conclude the film as a whole and almost every episode. Although a considerable number of Vietnamese speak in the film, as well as a few American civilians, dozens of veterans like Karl Marlantes are clearly the stars of the show. The next introductory sequence is also worth noting. It is a montage of some of the war’s most famous film footage played backwards. 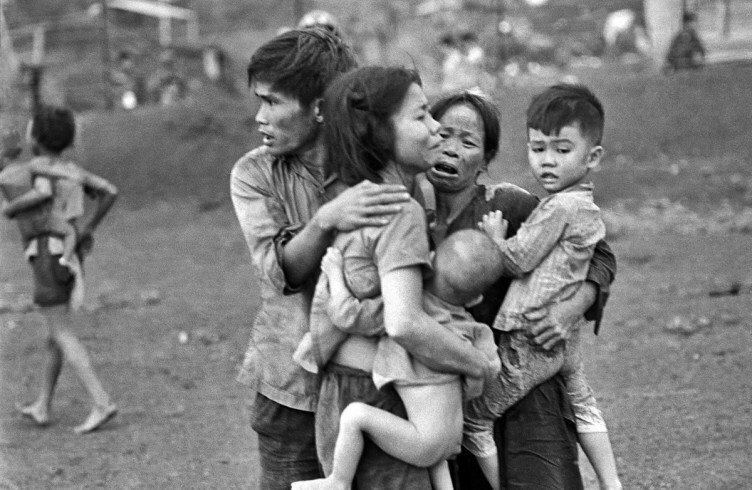 We see, for example, Kim Phuc, the young Vietnamese girl who, in 1972, ran naked toward the camera, her arms outstretched in anguishing pain, much of her body seared by napalm. Now we see her running backward toward the smoking ruins of her village, to a time before the horrible bombing, before the war. Bombs fly skyward back into their planes, troops march backward away from combat. The sequence suggests, I think, that even our most iconic memories of the war may not be well understood; that they need to be brought back to their historical roots to be understood fully. True enough. 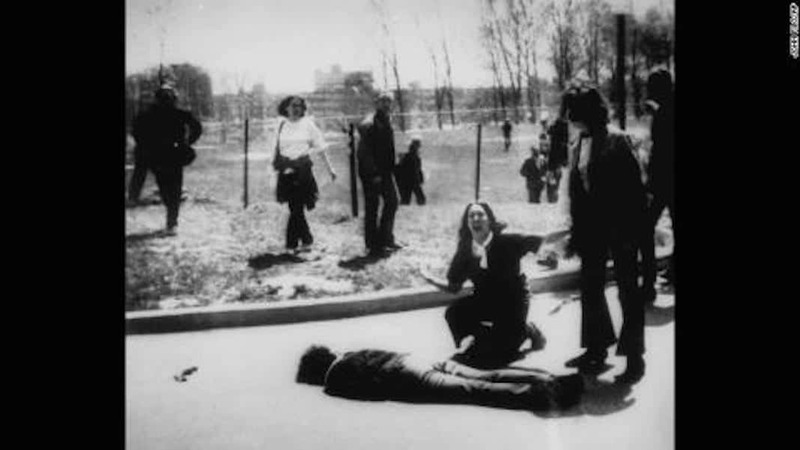 For example, in the 1990s historian H. Bruce Franklin found that most college students recognized the famous image of a prisoner being executed by a man firing a pistol inches away from the victim’s temple. But most of the students believed the shooter was a communist officer, rather that General Nguyen Ngoc Loan, chief of the South Vietnamese national police, an American ally. The sequence may also suggest that history is the product of human agency, not blind fate or the inevitable consequence of unavoidable forces. 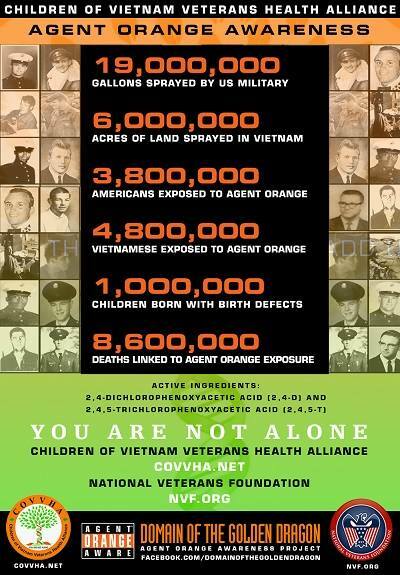 Had different choices been made, the Vietnam War might never have happened, or might not have lasted as long, or might have had a different outcome. The filmmakers wisely avoid speculative “what ifs,” but their attention to key decisions and events conveys the implicit message that history presented other possibilities. 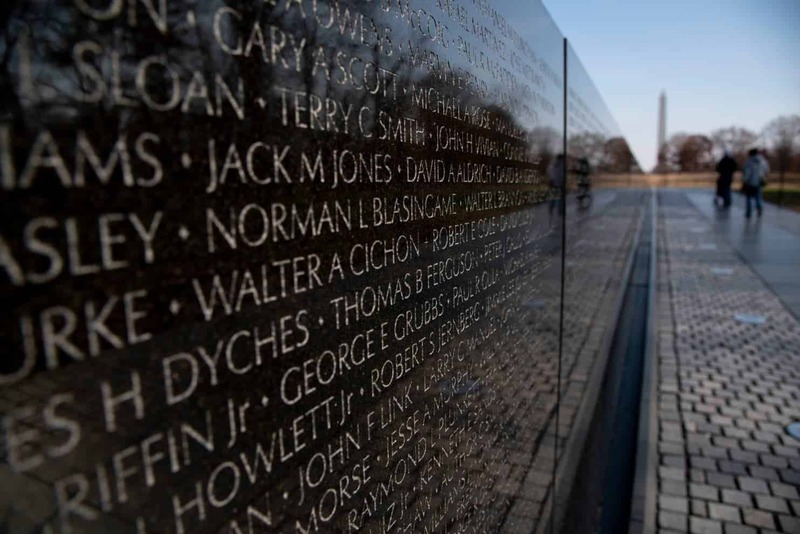 In many ways, The Vietnam War is two documentaries interwoven. One is a densely detailed and heavily narrated chronological history and the other is a series of oral histories about personal experiences of the war. Sometimes the two strands are intimately connected and enlarge our understanding of key moments; elsewhere, the personal accounts have little relationship to the historical issues under review. Nowhere are these two approaches more disjointed than in Episode 1. 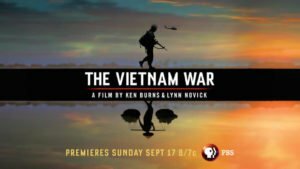 Every few minutes we jump from black-and-white archival images and accounts of French rule or the creation of South Vietnam under Ngo Dinh Diem in the mid-1950s to color footage of the U.S. war in the late 1960s and recent interviews with American veterans. Given the episode title of “Déjà vu,” we might have expected the interviewees to specify the ways U.S. intervention recapitulated the failures of the French or to recount how many Vietnamese came to view Americans as little different from the French (neocolonialists rather than old-fashioned colonialists). Instead, the American veterans speak about their own wartime experiences and the loss of comrades. It’s as if the filmmakers worried that viewers might get bored with the earlier history so they repeatedly previewed the main attraction. In fact, Americans began playing a significant role in Vietnam in 1945. The film offers a brief, but riveting, account of the U.S. alliance with Ho Chi Minh at the very end of World War II and reminds us that members of the Office of Strategic Service (predecessor to the CIA) dropped into northern Vietnam to help train Ho’s rebel force, the Viet Minh. 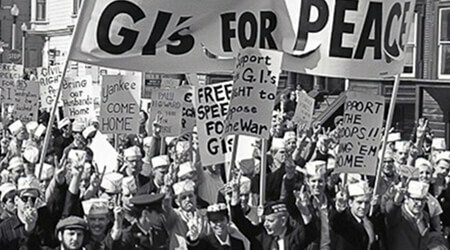 The film also documents Ho’s failed efforts after World War II to persuade the United States to recognize Vietnam as an independent nation. However, the film wrongly suggests that, when the French began to reconquer Indochina in 1946, the Truman administration remained neutral until 1950. In fact, the United States immediately gave its covert blessing and indirect aid to the French. By the early 1950s the United States openly financed the French effort to crush the Vietnamese revolution. Though amply dramatizing the skill and tenacity of the Viet Minh, Burns and Novick begin to establish a kind of moral equivalency between the French and the insurgents by claiming that the Viet Minh were “every bit as ruthless as the French.” Though perhaps true in some narrow sense, it is a superficial effort at “balance” that ignores the reasonable argument that the brutally exploitative colonial rule of a foreign power is by definition more ruthless than its opponents (to say nothing of France’s use of bombs and napalm against insurgents armed only with small arms and artillery). With the defeat of the French in 1954, the Eisenhower administration believed other Southeast Asian countries might fall like dominoes to communism. At this point in the film, talking head Donald Gregg of the CIA makes an important point: “We should have seen it [the French loss of Indochina]as the end of the colonial era in Southeast Asia, but instead we saw it in Cold War terms as a defeat for the Free World that was related to the rise of [communist]China. It was a total misreading of a pivotal event.” However, it wasn’t just a “misreading.” The United States intervened in Vietnam not because of “fatal misunderstandings” (as The Vietnam War would have us believe) but because policymakers automatically ignored or discredited any analysis that gave legitimacy to revolutionary movements of every sort, particularly those led by communists. 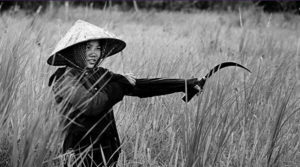 The steps leading to massive war in Vietnam were founded on the deliberate and determined conviction that the maintenance and expansion of American power depended on a policy of global counterrevolution. The United States did not stumble unwittingly into Vietnam. When the Geneva Accords of 1954 temporarily divided Vietnam into two zones at the 17th parallel, the agreement also called for an election in 1956 that would reunify the country under one government. The film accurately points out that “everyone knew Ho Chi Minh would win” a nationwide election, but does not make clear that it was the American-backed government in Saigon under Ngo Dinh Diem that cancelled the vote, with U.S. approval, in order to preserve what they hoped would be a permanent, non-communist South. By failing to emphasize this key fact, the film loses an opportunity to point out that a war fought in the name of “democracy” might have been entirely averted with a democratic election in 1956. Three million lives might have been spared. Nor does the film make clear that Diem’s regime was utterly dependent from the outset on U.S. support (including many CIA operations that go unmentioned). This hodgepodge of an episode, ending with the election of President John F. Kennedy, includes many compelling pieces but no clear or coherent explanation of the overriding motives that drove American policy in these crucial years. Christian G. Appy is a professor of history at the University of Massachusetts. His next post, about Episode 2, will appear following its East Coast broadcast on Monday, September 18. He is the author of American Reckoning: The Vietnam War and Our National Identity (2015), Patriots: The Vietnam War Remembered from All Sides (2003), and Working-Class War: American Combat Soldiers and Vietnam (1993). He also serves as an OAH Distinguished Lecturer.